I don't know how well the Generator Rex toys are selling, but Target's latest discount should give sales a nice bump. Target has chopped two bucks off the normal $5.99 price tag on the basic figures, bringing their cost down to a very manageable $3.99. Five dollars used to be the benchmark for action figures, but it's rare to find a licensed product for less than ten dollars these days. 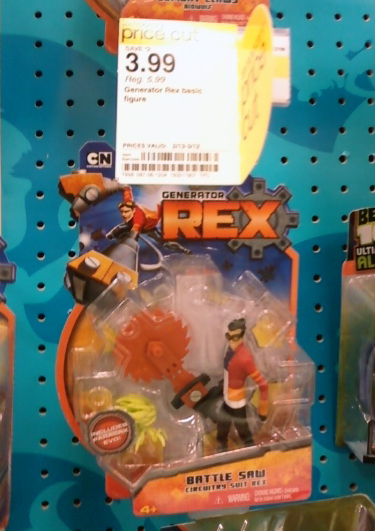 At four dollars, Generator Rex might just hit that sweet spot with moms looking to buy their kids something to keep them occupied while mom fills the rest of the cart. 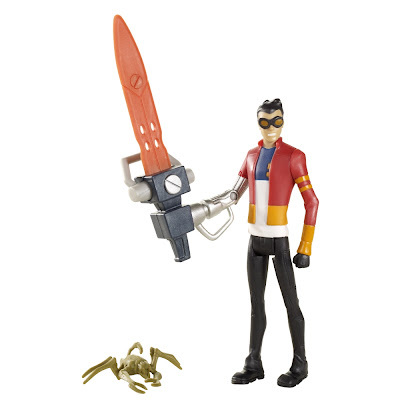 The biggest obstacle facing Generator Rex is that there is no one definitive toy version of the Rex character. Some figures have sword arms, others have robot legs. Some have goggles up, some have them down. At Target's current sale price, it might be worth it to buy several Rex figures to mix-and-match your own perfect figure.